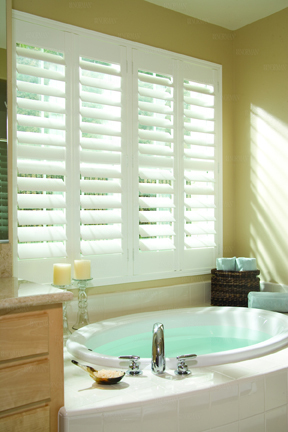 At Austin Blind Faith, we carry many different types of shutters to meet each of our customer’s needs. Shutter costs and production times vary by product. Austin Blind Faith’s eclipse shutters are made from polyresin 3 which is a fire retardant, colorfast compound with UV stabilizers designed with strength and durability, yet retains a special warmth and feel. This material is extremely easy to clean with just soap and water. Eclipse will not warp, shrink, chip, peel or fade and will never need painting. 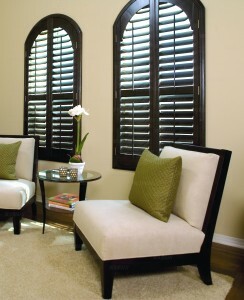 These are environmentally friendly shutters and waterproof shutters. Louvers are available in 2 1/2″, 3 1/2″ and 4 1/2″. With a three week lead time, this is an excellent affordable option for any home. Contact Austin Blind Faith today if you have questions about eclipse shutters or to schedule your complimentary in-home consultation. Built around the concept of modern convenience, Woodlore shutters are made of composite wood harvested from well-managed forests and finished with a polypropylene coating, which allows for easy stain removal and a consistent finish. Woodlore resists cupping, warping and twisting. Norman Window Covering’s invisible tilt is an excellent option for a more sleek and modern look. Woodlore are not recommended for high moisture areas. Contact Austin Blind Faith if you have questions about what material will work best for you or to schedule your complimentary in-home consultation. Standard production time is 6 – 8 weeks, but a domestic program is available for a surcharge for those looking to get these fantastic shutters in less time. The textured finish of Normandy shutters blends the tranquility of nature with distinctive luxury, bringing a touch of timeless elegance to your home. The labor-intensive, hand-finishing process involves multiple sequences of sanding and coating with fine layers of stain or paint for a brilliant, lustrous finish. Standard production time is 6 – 8 weeks, but a domestic program is available for a surcharge for those looking to get these luxurious shutters in less time. Contact Austin Blind Faith today if you have questions about Normandy Shutters or to schedule your complimentary in-home consultation. 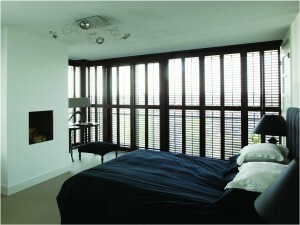 Sussex NormanTeak™ shutters are made of hand-selected NormanTeak™. They are treated with the Prescription Wood Conditioning™ technique according to the moisture content of the final installation location in order to reduce post-installation shrinking and swelling. The louvers are made of quarter-sawn wood to ensure generations of durability. This tight, straight and parallel grain also enriches wood character in stain finish. Sussex NormanTeak™ has the appearance of a furniture quality finish and the exceptional craftsmanship gives Norman Teak an instant feeling of art. They are available in a multitude of solid and stain colors that can match the style of any home. Standard production time is 6 – 8 weeks, but a domestic program is available for a surcharge for those looking to get these stunning shutters in less time. Contact Austin Blind Faith today if you have questions about Sussex NormanTeak™ or to schedule your complimentary in-home consultation. Arches are available with most of our programs and lead times will generally be 2 weeks longer. Contact Austin Blind Faith today if you have questions about any of the shutters featured here or would like to schedule your complimentary in-home consultation.